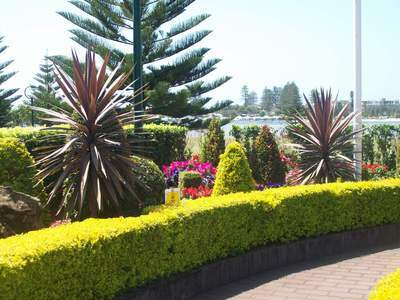 The Entrance can be found on NSW Central coast – approximately 90 minutes north of Sydney. It is a place to relax, recharge and explore, with its beautiful seaside location ensuring spectacular scenery. Memorial Park is located in the heart of the Entrance. It has a great playground, toilets and showers and is right on the water. There are BBQs and plenty of green space to enjoy a picnic or watch pelican feeding. At 3.30pm each day dozens of pelicans fly in for their feed, no matter what the weather is like. The birds are not only fed, but also checked and treated for injuries. The Entrance Farmers Market is held at the park on the 1st and 3rd Saturday of the month. Fresh produce is available as well as beautiful art and craft pieces. Hand-made goods are also sold at the weekly art and craft markets in the Waterfront Plaza right next to Memorial Park. Younger children can enjoy Vera's Water Garden – brightly painted fountains and paddling pool and a great shaded playground or they can take a ride on the Historical Carousel. Older children will enjoy challenging their parents on the giant chessboard or dancing and singing along with the live musicians on the Sails Stage. On the weekends and during school holidays, Memorial Park comes alive with fun amusements, rides and slides. Festivals and school concerts are also held on the Memorial Park Stage. The Entrance is home to a range of clothing shops – from designer boutiques to discount stores. You will also find plenty of specialty stores offering gifts, homewares, toys, second hand books, flowers and hardware. A range of holiday accommodation is available to suit every visitor's budget and lifestyle – from resorts to bed and breakfast homestays and caravan parks.